Life changes forever when you have a 3TB external FireWire 800 + USB2 AC powered hard drive. You can backup and archive anything and everything. You’ll be glad you paid the extra $60 over the price of the puny 2TB GoFlex Desk for Mac sibling. So far so good. Hard drives backed up? Check! iOS devices backed up? Check! Photo and music libraries’ redundant archives? Check! Plenty of additional storage capacity for future expansion and bloatware? Double check! 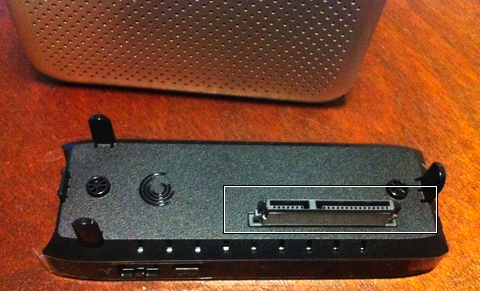 Seagate’s new GoFlex Desk for Mac External Drive (or GFD) has an unusual base plate that can be removed and swapped. Most Macintoshers will never need to separate the base from the upper drive enclosure, because this configuration has one USB2 port and two FireWire800 ports. The second FireWire port can be used to mount all FireWire 800 drives, and power them if they are bus-powered. With USB3 Windows devices and computers beginning to become available, Seagate offers an optional USB3 base plate without FireWire ports for high speed Windows data transfer. For this article, only the shipping Macintosh standard unit and ports were used. Swapping base plates is easy, as I found by accident. My evaluation GFD worked fine for a week. Then it developed fsck errors when backing up with Time Machine from my pre-unibody MacBook Pro running OS 10.5 Leopard. I am not going to discuss the significance of fsck because it’s beyond the scope of the typical Mac owner. Seagate phone tech support was extremely helpful, determining that their evaluation drive was defective. They shipped me a replacement base plate, because they thought that probably was the culprit. Wrong. Then they shipped me a completely new GFD, saying I could toss their first defective drive into the dumpster. I was very careful setting up a backup and archiving strategy on GFD #2, but a different Drive Genius warning occurred. Something was wrong with my computer, and/or with Seagate’s high end flagship product. Doing what I always do when I’m stumped and annoyed, I went for a swim, which is when my troubleshooting brain cells work best. Afterward, I mounted GFD #2 onto my ancient lampshade iMac G4 running OS 10.5 Leopard. 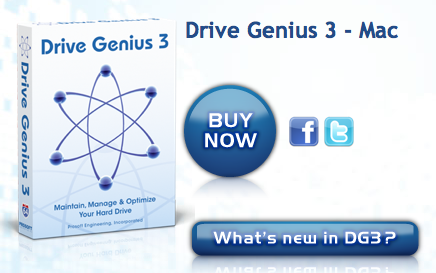 I used Drive Genius 2 (not version 3) to attempt to repair and rebuild the directories on GFD #2. Drive Genius’s progress report said the rebuild and repair was unsuccessful, but then GFD #2 mounted perfectly on my MacBook Pro. If you’re losing the thread of my status, join the club. So was I at this point. I initialized GFD #2 using Apple’s DiskUtility, decided NOT to use Time Machine to backup my MacBook Pro, and got on with my digital life. Carbon Copy Cloner and Senuti work perfectly for backing up my computer and my iPods; click-hold-drag-release straight data archiving works too, as it should. I had a long phone conversation with Prosoft Engineering’s Drive Genius lead developer. We went through the entire scenario above, plus several other variations. He informed me that Mac OS 10.5 Leopard is not fully compatible with Seagate’s drive directory structure, and that OS 10.6 Snow Leopard does not have the same bugs. “As for the OS 10.5.x problem, there is a bug in the OS disk manager that is triggered by partitioning a disk or creating a new volume (even doing so in Disk Utility). However, it’s not specific to Seagate disks or any other type of disk. Now it may be that you partitioned the disk and triggered the bug and then this caused other weird behavior with Time Machine – but that’s hard to say for sure. “The directory and file structure are only stored by the drive. Not created. So the drive is only storing what the OS is creating then placing on the drive. I accept Prosoft’s premise and Seagate’s explanation, but this is the first time any FireWire 800 external drive has given me problems with my Leopard operating system. 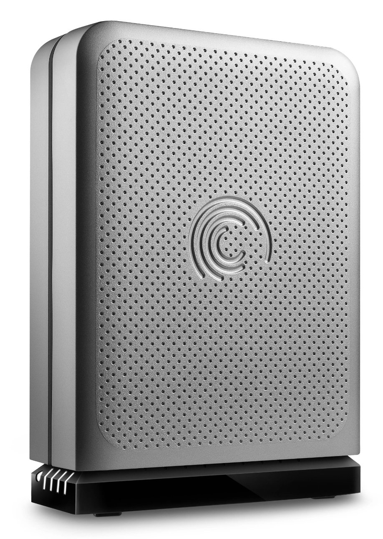 I am a big fan of Seagate’s new family of GoFlex for Mac external USB/FireWire drives. The bus-powered portable models are now my primary backup hardware. Millions of Mac users are running Leopard OS 10.5. Based on my experience, they should not use a Seagate GoFlex Desk for Mac to run Time Machine until they upgrade to 10.6. Other backup options are available. This external drive is attractive, quiet, cool, fast, and 100 percent efficient for every other typical use in 10.5, and for all purposes in 10.6. Drive Genius isn’t perfect either. Some of their warning messages and interface conventions are weird or unhelpful. Prosoft Engineering is one of our favorite companies here at MyMac. They are always working on improving their fine utilities, and they will be incorporating some of the changes I suggested in my recent series of phone and email support conversations. • GFD #2 continues to perform perfectly doing everything except Leopard 10.5 Time Machine backups. • GoFlex portable drives are reliable for doing everything in OS 10.5 and 10.6. • Seagate has great products and customer support, but doesn’t know as much about their directory bugs as does Prosoft. • Prosoft Engineering makes very good utility software that gets updated based on user feedback. • If you don’t back up your Mac to rotating off-site external drives you are a numbskull. • Even the most expensive external FireWire drive is a bargain when your computer dies, breaks, or is lost/stolen. • When you have problems, CONTACT THE COMPANIES THAT MAKE YOUR HARDWARE AND SOFTWARE and ask them for help! • MyMac continues to recommend Seagate external drives and Prosoft Engineering’s DriveGenius 3. • Am I the only power user who finds Time Machine to be cumbersome and annoying, and Carbon Copy Cloner straightforward and efficient? I like Time Machine as a second backup option. It is great for getting older versions and very easy to recover files off of. I never use CCC. I use DejaVu as a main backup software. 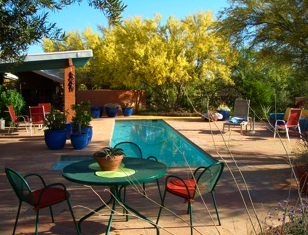 One of those “Set it and forget it” and very customizable.